IN A bid to revive Air India, a government panel on November 27 decided to sell the national carrier’s ground handling arm and use the proceeds to pare its massive debt burden. complete the sale by the end of this fiscal. The sale bid, if successful, will give some relief for the government that is struggling to meet its 3.3 percent fiscal deficit target for the year. Although the money raised through the sale will be used to cut Air India’s debt, it will still help free up government resources that would otherwise have been used to fund the ailing carrier. AIATSL is the largest ground handling company in India and is present in almost all airports across the country where the airline operates. The company has close to 80-85% share of the domestic and international ground handling business in India, according to Air India officials. It is also profitable. Paying down part of Air India’s accumulated debt of over Rs 48,000 crore, along with efficiency improvements, under a turnaround plan could also generate investor interest in the money-losing national carrier. Choubey said the government is separately taking action for turning around Air India, but declined to give further details. 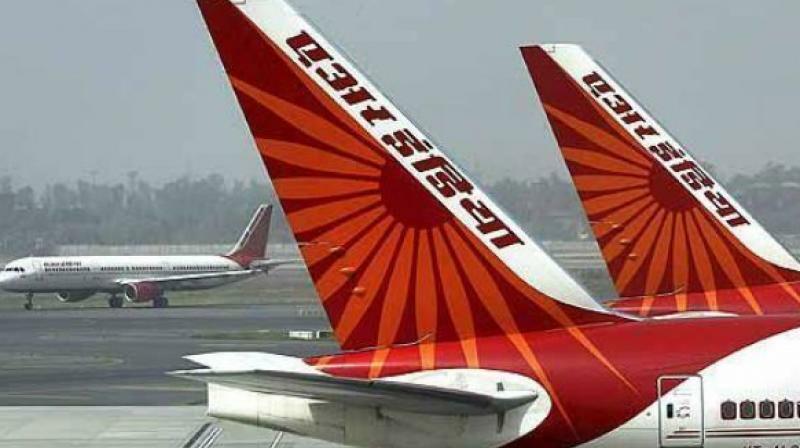 An attempt to sell 76 percent of Air India, 100 percent of low-cost international carrier Air India Express Ltd and 50 percent of Air India SATS Airport Services Pvt. Ltd had failed to take off earlier this year because of Air India’s huge debt and the fact that the government chose to retain 24 percent in the carrier. The ministerial panel that met on Tuesday also decided to go ahead with the sale of state-owned helicopter services firm Pawan Hans. Choubey said a request for proposals for the sale would be issued soon. Choubey said the strategic sale of AIATSL is expected to be a success as it had received unsolicited offers from four-five investors earlier when the government had given an in-principle nod for sale of Air India and its subsidiaries. New Delhi-based private operator Bird Group, which provides ground-handling services at seven airports including Delhi, Mumbai, Bengaluru and Kochi, had at that time expressed interest in buying the Air India arm. However, at that time, the government did not want to sell the airline’s individual units separately. “A significant part of Air India’s debt is being hived off to the SPV and the government is taking responsibility for that debt. When that much of debt is hived off into the SPV, the intention is that when the subsidiary (AIATSL) is sold, the sale proceeds should be used to retire the debt,” said Choubey. The buyer will not have to bear the debt being hived off to the SPV. One uncertainty is the general elections likely to take place early next year, which could slow down the whole process, but officials are optimistic of getting the deal through soon. At the moment, the government is speaking to Air India’s lenders regarding transfer of the subsidiary as well as part of the national carrier’s debt.